Saira Shakira’s F/W 15 Bridal Couture collection titled ‘Seeking Paradise’ is inspired by Russian pavlovsky posad shawls – a vision of ethereal beauty and elegance with feminine touches. Staying true to the theme, the collection was designed around shiny fabrics such as tissue and net. ‘Seeking Paradise’ features majestic flairs, flowy gowns, short shirts, shararas and lehngas with embroidery giving a 3D effect to light fabrics. 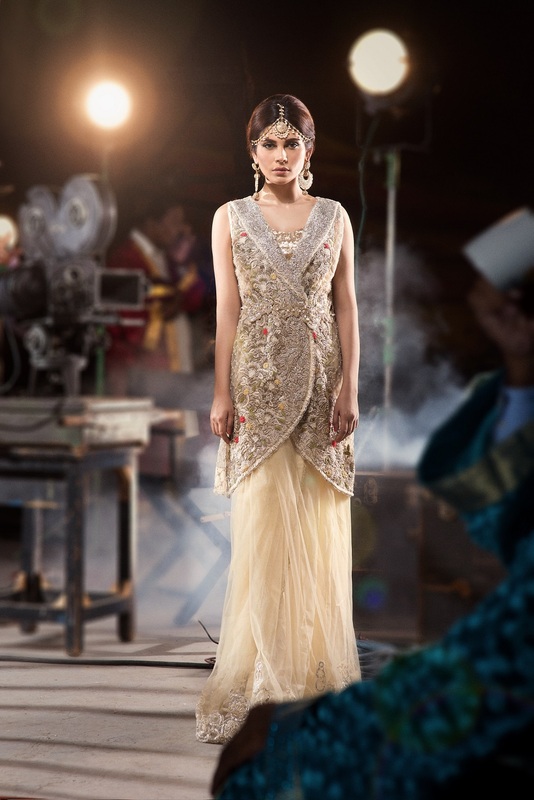 The main focus remains the beautiful intricate details of embroidered flowers and dabka and naqshi handwork. The collection featured shimmery hues of delicate colors and unusual mix – pearl grey, silver, old rose pink, teal and reds creating a very ethereal and sensual feel. 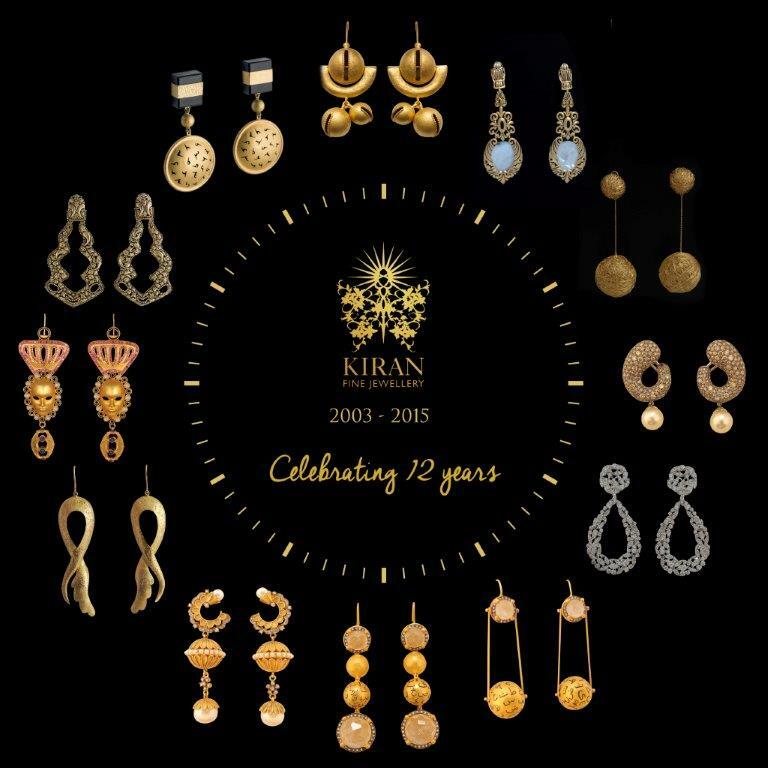 Pakistan’s most coveted jewellery brand, Kiran Fine Jewellery [KFJ], commemorate their twelve year anniversary with an exclusive launch on Instagram [@kiranfinejewellery], revealing a first of its kind, audio visual Instagram retrospective, journeying through their 12 years strong heritage. This unique social media launch [official hashtag #KiranFineJewellery] will take place on brand’s anniversary itself on the 18th of October 2015. Kiran Fine Jewellery’s instagram launch will offer viewers and patrons a journey into the brand’s legacy, chronicling their conceptual philosophy, their status as heirloom statements of jewellery, brand presence and endorsements by icons through the years as well as the birth and evolution of the KFJ woman, across a timeline from 2003 – 2015. 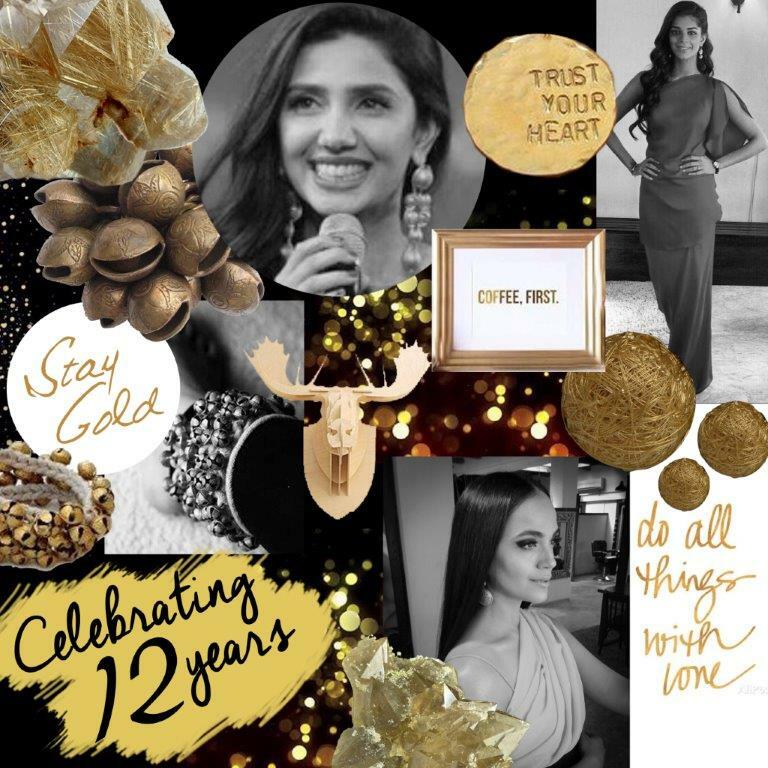 “Our instagram launch captures our 12 year anniversary mantra, ‘one square moment at a time’ whereby this year, we look back across our twelve years of passion in jewellery using precisely one square instagram moment, telling an entirely visual narrative. We will culminate our curated social media retrospective with a look to the future, revealing more from our brand in 2015.” Said Kiran Aman, the powerhouse creator of Kiran Fine Jewellery. Indeed, the #KiranFineJewellery brand is renowned for encapsulating the woman of substance, who wears jewellery not simply to adorn but to reflect the essence within. At KFJ each piece of jewellery is crafted with the finest materials with a deliberate focus on gold, as the designer believes its strength, warmth and malleability is a veritable representation of the women for whom she designs. Her jewellery has been worn by leading models, stylists, celebrities and Pakistani icons at a variety of shows and events in Pakistan and internationally, including Oscar winner Sharmeen Obaid-Chinoy who wore jewellery by KFJ to the 84th Academy Awards and at multiple international and national awards and events by leading actress Mahira Khan. Kiran Aman also custom-designed jewellery for actress and model Meesha Shafi in the form of calligraphic earrings titled ‘Bol’ based on Faiz Ahmed Faiz’s poetry by the same name, which was used in the OST for The Reluctant Fundamentalist in which Shafi made her Hollywood debut. Kiran Fine Jewellery’s flagship boutique is located at Ocean Mall in Karachi. Join the brand at @kiranfinejewellery on Instagram and search the #KiranFineJewellery hashtag to commemorate the KFJ 12 year anniversary. [Lahore: 8th March 2015] Pakistan’s premier high street and fabric brand Kayseria inaugurated their flagship Kayseria Vision Store in Lahore on Saturday, 7th March 2015. Located in the prime commercial area of H Block Market, DHA in Lahore, the flagship store is a representation of the quintessential Kayseria ethos of embracing the heritage of Pakistan and fusing it with a contemporary aesthetic. 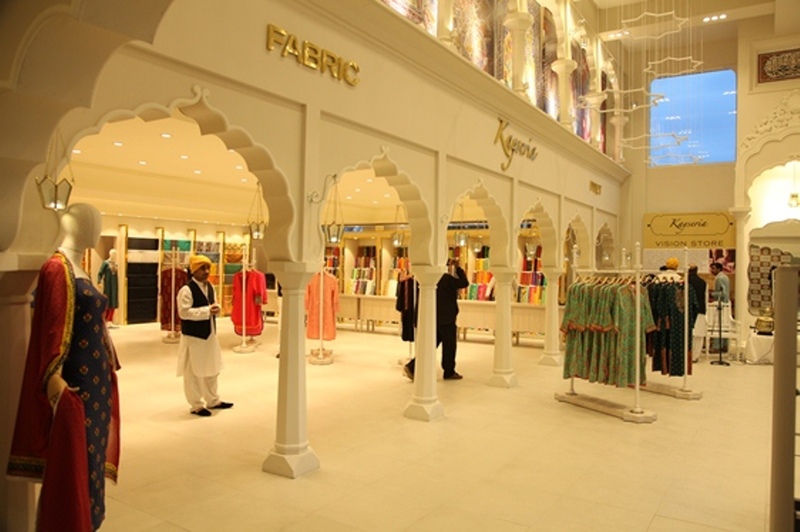 The store’s design has incorporated the craftsmanship of fresco master Ustad Saif-ur-Rehman, who with his mastery of geometric and biomorphic patterns has helped craft the traditional multi-foil arches in the store. At the inauguration, Creative Director Kayseria Waleed Zaman gave a brief presentation explaining the vision of Kayseria and introduced fresco artist Ustaad Saif-ur-Rehman who has been working closely with Kayseria on the design of the Kayseria Vision Store as well as on the prints of the second edition of the signature Master’s Collection. Waleed Zaman also announced that he will be accompanying Ustaad Saif on a trip to the United Kingdom to further promote his work through a series of workshops and exhibitions. Renowned architects Imrana Tiwana and Ayesha Noorani spoke about the importance of art and highlighting the work of lesser known artists such as Ustaad Saif-ur-Rehman. The event included a live classical music performance while guests browsed through the Spring/Summer 2015 collection on display. The launch of the Kayseria Vision Store was well attended by fashion industry stalwarts, celebrities and media personalities alike. Under the guidance of Ustaad Saif, Kayseria has incorporated the classic craft of fresco in its precise and traditional form in 84 intricate and trendy designs. The geometric lines and length and the exquisite patterns that have been meticulously designed represent the artistic fluidity of ancient fresco. The collection is further embellished by Chantilly Lace which gives a classic undertone to the eastern aesthetic. Combining the textile and fashion expertise of Kayseria with Ustad Saif’s knowledge of frescoes, Kayseria aims to re-introduce the timeless beauty of the traditional art of ‘Naqqashi’. The Spirng/Summer 2015 collection further includes prints inspired from Russian Babushka Shawls, Ukrainian embroidery and the Kantha embroidery of South Asia with special emphasis on the appliqué craft of Interior Sind ‘Ralli’. Contemporary designs in the collection have been inspired from an amalgamation of different art forms, borrowed from local and global crafts; fragments of design come together to create modern trendy patterns in the season’s best colours. Kayseria Summer 2015 is now available for retail at all Kayseria stores across the country in the price range of PKR 1,000 – PKR 8,000.